You will be warned not to stop in San Salvador. These warnings may even come from Salvadorans. You will be tempted to heed them. Don’t–just pack your common sense and read our city travel guide. 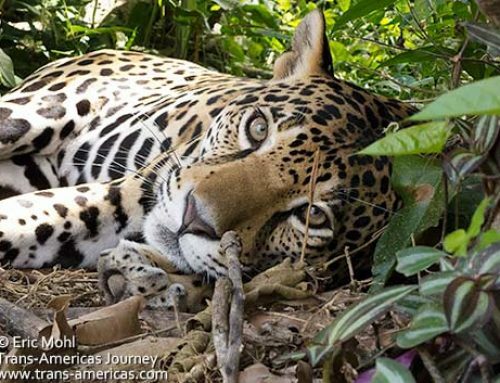 There’s more to San Salvador, El Salvador than meets the eye. 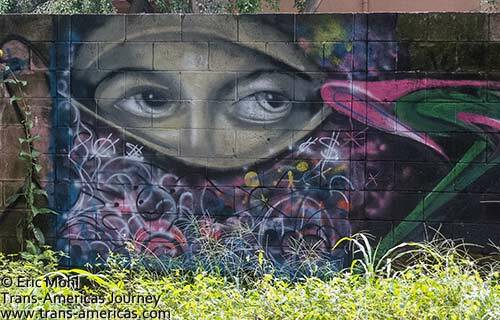 The capital of El Salvador does have a gang problem. Newspapers sometimes refer to the victims of gang violence as “the new disappeared” in an eerie, fear-inducing flashback to the country’s not so distant civil war. Some areas of the sprawling city really are seriously sketch to travel through (looking at you, Soyopango area), but we stopped in San Salvador anyway. And we stayed. And we found that the city is really not so scary. Here’s what else we found. We’ve seen hundreds of churches during our Trans-Americas Journey but the most memorable and unusual one so far is in the middle of San Salvador. 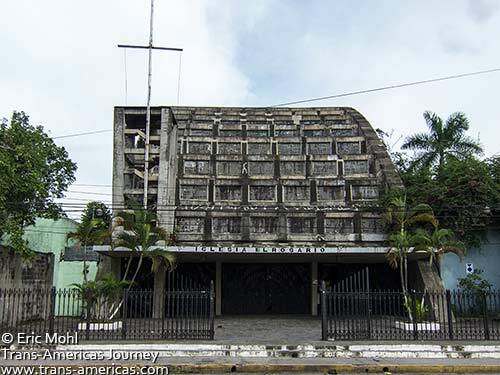 The irreverent, controversial, absolutely compelling Church of the Rosary (Iglesia el Rosario) was created in 1971 by artist and architect Rubén Martinez who tweaked everything you normally associate with a Catholic church in Latin America. 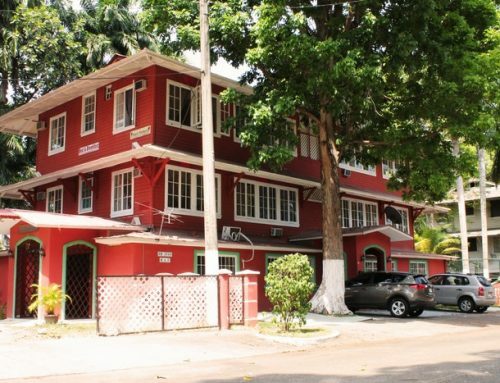 Artist and architect Rubén Martinez tweaked the standard elements of a Catholic church when he created Iglesia el Rosario, the Church of the Rosary, which is the most surprising Catholic church we’ve seen (so far). The exterior looks like a derelict airplane hangar. The cross looks like a rudimentary ship mast. Inside there are no pillars or columns. 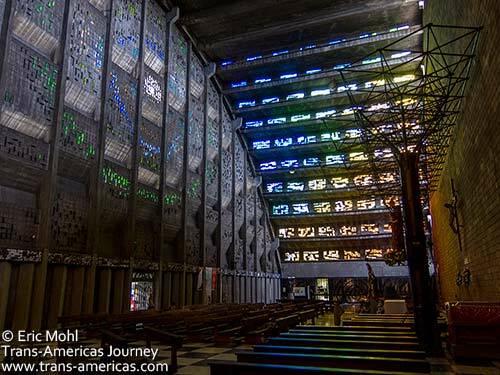 Stained glass windows have been created by randomly imbedding hunks of colored glass into the curved, bare concrete walls and ceiling. The stark, simple altar is on the same level as the pews. Yes, this is a church and the inside of Iglesia el Rosario is even more unexpected and compelling. 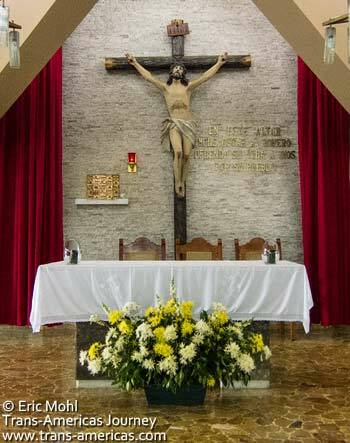 To the right of the altar is an area that houses the remains of brother Nicolas Vicente, and Manuel Aguilar (heroes of El Salvadoran independence) and representations of the stations of the cross. 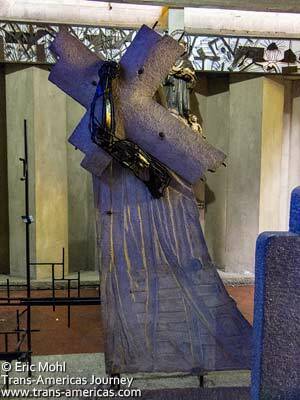 So often melodramatic and predictable, the stations of the cross in the Iglesia de Rosario are depicted in thoroughly modern, enticingly abstract sculptures created by Martinez in carved stone, wrought iron and re-bar. If you see just one thing in the capital of El Salvador it should be this church. One of the stations of the cross inside Iglesia el Rosario in San Salvador. Rubén Martinez, the creator of Iglesia el Rosario, is also a renowned sculptor. 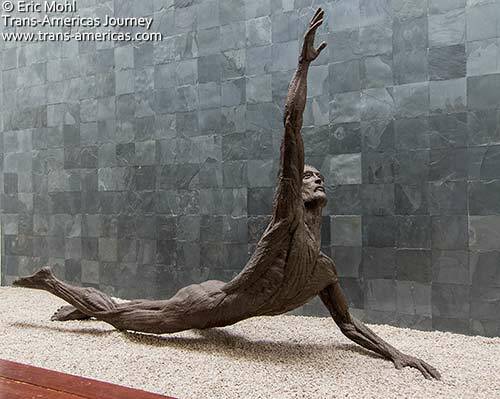 This piece is in the Museo de Arte de El Salvador (MARTE) in San Salvador. 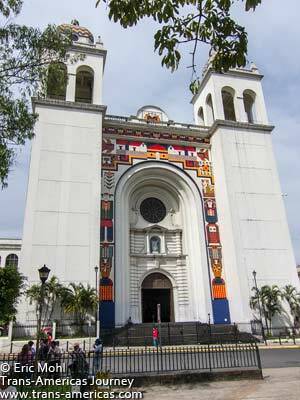 Just a few blocks from Iglesia el Rosario is the Metropolitan Cathedral which was recently rebuilt then renovated. Honestly, it looks like a mash-up of a church and the conference room in a Marriott hotel and is weirdly modern and bland inside. The modern Metropolitan Cathedral in San Salvador. The cathedral is home to a (well) hidden site, however. Go to the right side of the cathedral and walk into an unmarked door. Go down a flight of stairs and you will find yourself in the final resting place of Archbishop Oscar Romero. The priest’s assassination by death squads in 1980 tilted El Salvador into civil war and the sanctuary around his tomb is a serene, reverential area that’s been set aside for personal reflection. Do not miss it. 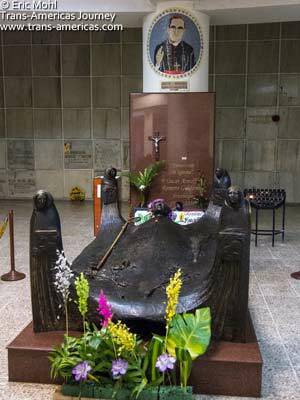 The final resting place of Archbishop Oscar Romero underneath the Metropolitan Cathedral in San Salvador. El Salvador was in a bloody civil war from 1980 to 1992, the second longest civil war in Central American history. During that time at least 75,000 people died and many, many more “disappeared” and pre-war massacres killed many, many more o top of that. The war may be over, but the remembering is not. El Salvador’s civil war is commemorated in many ways. Monuments large and small commemorating the war and the fallen can be found all over El Salvador. The situation between the military backed Salvadoran government and the country’s poor was already bad by March 24, 1980, the day Archbishop Oscar Romero was gunned down by government death squads while performing mass. His assassination, proceeded by the Archbishop’s request that US President Jimmy Carter stop backing the Salvadoran military and a call for members of the military to defy their orders and stop massacring villagers, tilted the country into outright civil war. The chapel at Divine Providence Hospital (Hospital la Divinia Providencia), where this tireless defender of the rights of the common man was killed with a single shot to the heart while standing at the pulpit, is surprisingly modern and bright and serene. It’s still in use. The chapel at Divine Providence Hospital in San Salvador where death squads murdered Archbishop Oscar Romero during mass, plunging the country into full civil war. Much more intimate and moving was a visit to the humble house near the chapel where the Archbishop was living at the time of his death. His beloved Toyota Corona is in the carport (the owner’s manual is also proudly displayed). His monogrammed towels are hung neatly in the bathroom, as if he’s due back soon. His typewriter, used to compose sermons, is on his desk. His passport and a collection of oddly hippie-ish rings are on a table. His blood stained vestments are in a glass case. 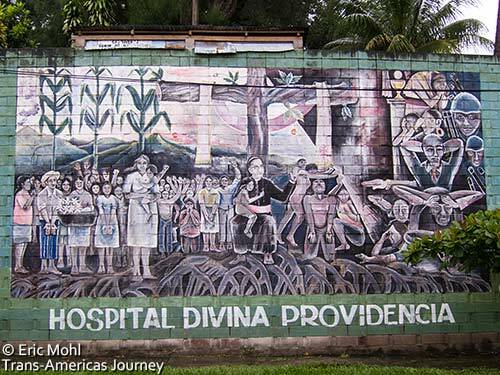 A mural at Divine Providence Hospital in San Salvador honoring Archbishop Oscar Romero who spent his last days living and working here until death squads killed him in 1980. Many horrific things happened between the day the Archbishop died and the day the peace accords were signed in 1992. While the country struggles to come to terms with the atrocities of war, a monument to those who died has been created. 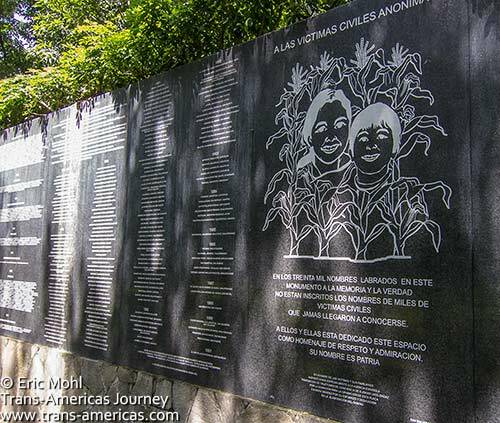 The Monument to Memory and Truth (Monumento a la Memoria y la Verdad) in Cuscatlán Park is reminiscent of the Vietnam War Memorial in Washington DC. Completed in 2003, this 300 foot (85 meter) black granite wall has been engraved with the names of nearly 30,000 people who died or disappeared but that’s less than half of the estimated total body count. 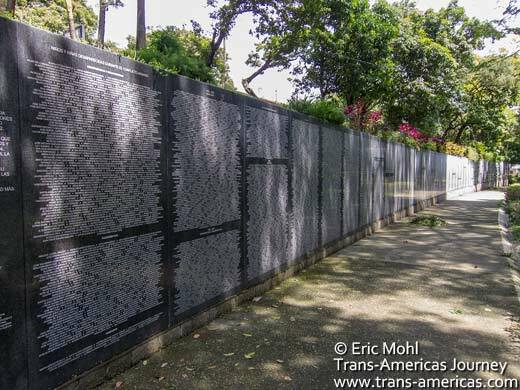 The Monument to Memory and Truth in San Salvador is a massive wall of black granite inscribed with the names of just a portion of the tens of thousands who were killed or “disappeared” during El Salvador’s 12 year civil war. The wall is also engraved with the town names in which massacres took place leading up to and during the civil war. There are so many of them that they had to be organized by year. Some village names turn up more than once. 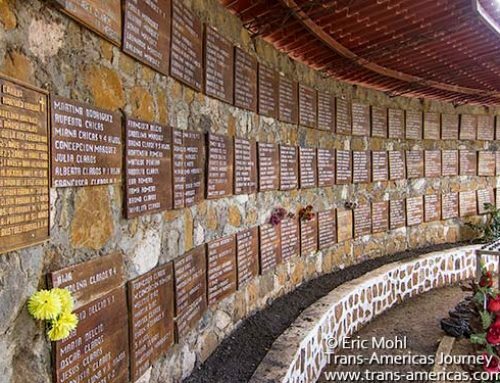 The wall does not include the 30,000 plus Salvadorans killed during genocide that took place in the country in the 1930s, but sometimes it takes baby steps to get to the truth. It’s a start. The park is a calm, relatively green oasis in the middle of San Salvador, and it’s an appropriate place to visit and reflect on what happened in El Salvador and continues to happen around the world today. 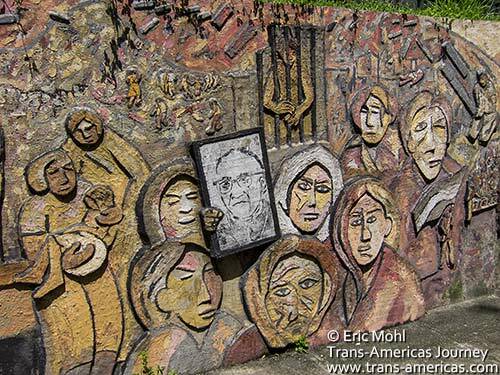 The people hold up a picture of Archbishop Oscar Romero on a portion of the Monument to Memory and Truth in San Salvador. Take a palm-full of masa (corn or rice paste), form it into a ball, spoon in a dollop of filling, then flatten it and grill it on a hot griddle and you’ve got yourself a pupusa, the national dish of El Salvador. Pupusas are usually filled with chicharron (fried pork), beans, cheese, loroco (the flower bud of a vine which tastes like asparagus and is said to be an aphrodisiac), shredded squash called ayote, or any combination of those ingredients. But there are creative alternatives if you know where to look. 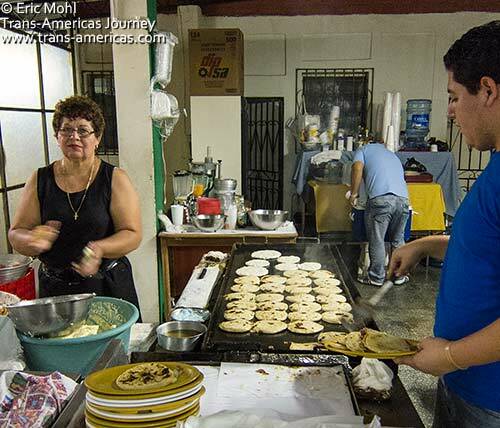 Though pupusas are available everywhere in El Salvador, perhaps the best place to sample them is a neighborhood of San Salvador called Antigua Cuscatlán. Salvadorans come from miles around to feast on pupusas here and everyone seems to have a favorite pupuseria among the dozens or so that have set up shop in this part of town. Making our favorite pupusas at La Unica pupuseria in the Antigua Cuscatlán area of San Salvador. In our humble opinion the best made, best priced examples of this ubiquitous food are found at a pupuseria called La Unica, a large, bustling, bright little eatery which hunkers down behind the church in the square in Antigua Cuscatlán. Many swear by a nearby much fancier pupuseria that is certainly the place to go if you want ingredients that go beyond the usual suspects (like jalapeños and mozzarella cheese). They’ll even give you a knife and fork (!?!?). However, we’re traditionalist who prefer the classic ingredients and we like eating with our hands. A great meal of a very different kind can be had at the on-site Italian restaurant at Casa ILB boutique hotel (now called Nico Urban Hotel). Il Bongustaio is an iconic restaurant which the owner has run for more than 10 years using family recipes to create authentic Italian dishes from scratch. The handwritten menu is extensive and traditional. Your fellow diners will likely include ambassadors, socialites and heads of industry. In the same swanky neighborhood is Restaurante Citron. Opened in 2006, this hip/chic restaurant is helmed by chef Eduardo Harth a Salvadoran who was raised and trained in the US where he was sous chef at the award-winning Grapeseed Bistro in Bethesda, Maryland. Then he decided it was time to bring his talents home. Now chef Harth prepares daring dishes in a house that’s been converted into a restaurant. He bakes his own bread, makes his own cheese, kills his own farmed venison, and changes the menu more or less monthly. We loved the rich/sweet/salty house-cured duck prosciutto with maple syrup, venison loin so tender we didn’t need a knife, and giant squid on a bed of grilled asparagus and radicchio with a complex sour orange and cinnamon glaze. Eat at the bar in front of the small, open kitchen and you get a free show with your meal. One regret: we never made it to a coffee shop called Viva Espresso to sample coffee made by Alejandro Mendez, the 2011 World Barista Champion. 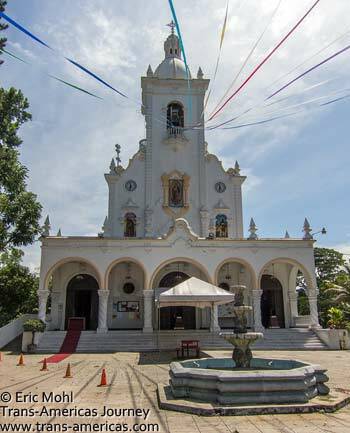 The Guadalupe church in the Antigua Cuscatlán area of San Salvador. 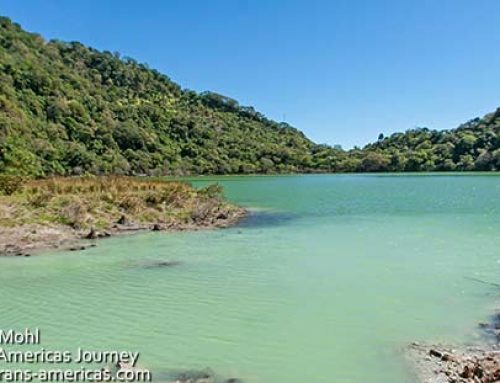 We’d gone to Antigua Cuscatlán to check out an eco hotel called Arbol de Fuego. The hotel has implemented all the usual eco measures including long life bulbs and “please re-use your towels” signs. But this homey, tranquil boutique guesthouse has also adopted a ton of other initiatives. There are low-flow showers (using a simple adaptions dreamed up by her handyman), a greenhouse created for drying laundry which is washed using EPA approved detergents, all appliances are unplugged when not in use, and all garbage is sorted so that local collectors can pick up pre-sorted bags to recycle without the indignity of digging through the hotel’s garbage looking for tin cans or glass bottles. The result of many small, smart steps has been an epic reduction in energy use, water consumption and pollution. The owner, a passionately green woman named Carolina, has kept meticulous records of the profitable side effects her eco efforts. 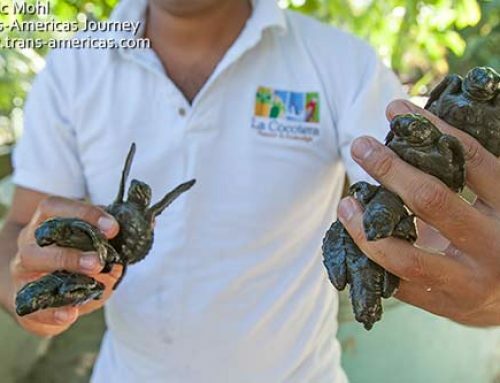 Her success has been so big and so well documented that Carolina is now helping other small hotels in El Salvador take the environmental plunge. BONUS: Hotel Arbol de Fuego is within walking distance of all those pupuserieas. 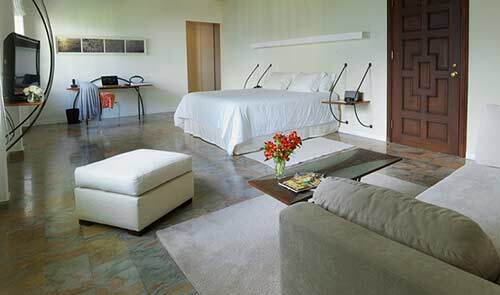 A room at Casa ILB, now called Nico Urban Hotel, in San Salvador. Opened in 2011, Casa ILB (now called Nico Urban Hotel) is a minimalist and elegant boutique hotel in a city not exactly bursting with such things. 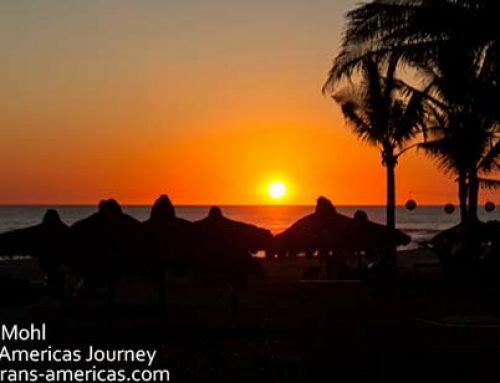 Check out our full review of Casa ILB for iTraveliShop. When it was time to leave that lovely haven, we embarked on the hunt for our more normal level of accommodation. We found Villa Florencia Centro. At US$13 a night for a clean double room with a fan, private bathroom, and Wi-Fi plus secure, enclosed parking big enough for our truck we were sold. 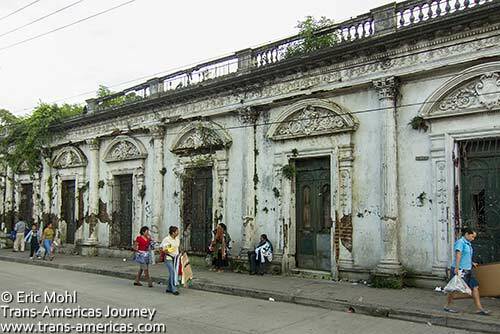 The only bummer is that Villa Florencia is located in the depressing, neglected downtown area. While not exactly unsafe, downtown is certainly not interesting unless you’re into dirty streets and decaying buildings. 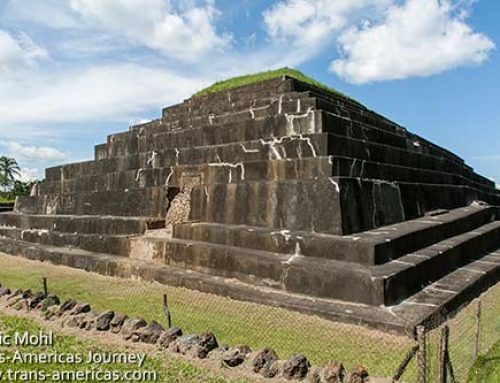 We also found many ways to amuse ourselves with day trips around San Salvador. 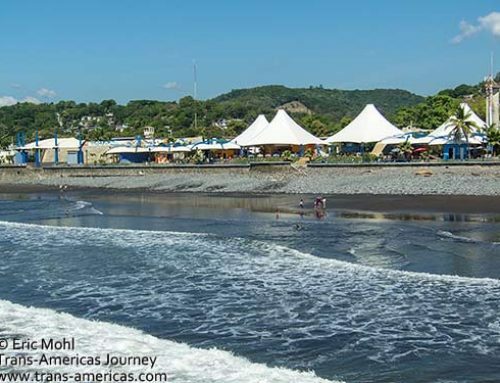 I am so happy to find your blog and read about El Salvador which is where my entire family is from. Glad to read that you did not let fear interfere and you allowed yourself to discover this beautiful small country that still is wounded from the civil war and yes the maras don’t make life easy. I was there myself in March and took my parents all over the country. Wore them out but you know it was the only way to discover the land they left in search for a better future for their children. You captured beautiful images and describe history so beautifully. I didn`t make it to El Rosario which looks awesome but did go past la catedral metropolitana (that was closed because of the protesters) and Iglesia Guadalupe. There are so many monuments and wall art that reminds you of the past but it’s good that they are making slow progress. I love the pupusas picture, just made me hungry. I ate so many of them there that I was on a diet when I came back home lol! Kay, thanks for your kind words. We really appreciate it. And stay tuned! 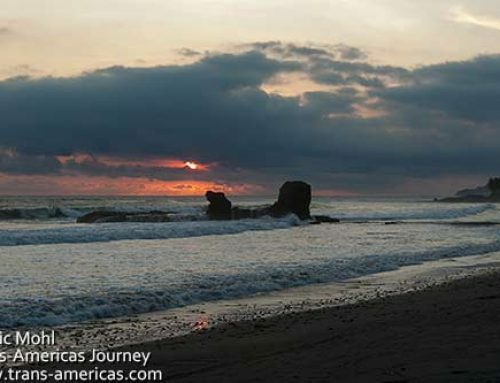 We’ll be putting up many more posts from all over El Salvador in the next few weeks! It seems like the places they always tell you not to go turn out to be the most interesting. Kind of like that teacher that everyone warned you about and you decided to take his class anyway, and he turned out to be great. I have been like 7 times to El Salvador (my husband is from there) and I have never seen the main sights in San Salvador. We usually visit the Western part of the country. Thanks to this post, I have the perfect guide to discover the best of the city in my next visit. Always remember the film Salvador which maybe not the greatest but imprinted it on my memory. That church is amazing, who would have believed it looked like that oin the inside when viewing it from the outside. I have to admit I am one of those that would probably heed the warnings to El Salvador. However, I am glad there are those that make the journey and discover what is hidden in the depths of this city. The church is beautiful – although you wouldn’t think so by looking at the outside. That’s probably a pretty good metaphor for El Salvador. That church looks incredible, but from the outside I suspect I would never think to go in! And I love the art all around as well, although it is sad that such horrific events preceded its creation. The architecture sounds lovely, but really all I needed to know was that San Salvador has the best pupusas. Sold! Michael, Bottom line, no we never felt unsafe. Like most of the Central American capitals there are definitely areas where you don’t wander at night. There are also areas, usually neighborhoods where the more expensive stuff is, that are fine. In the case of San Salvador and most of the CA capitals in fact, the main no-go area that would appear on a traveler’s radar is usually the historic/central/downtown area. These areas are often dangerous for a reason, like many downtowns they clear out at night, hence there isn’t much reason to be there unless your rock-bottom accommodation is located there. Since there’s nothing going on the solution is simple, you don’t go there at night. That of course means going out for food or drink at night often means visiting the nicer (i.e. more expensive) neighborhoods in these cities. Your usual thorough and engaging report. I’m putting together my LA travel plans, and your blog is an awesome resource. Thanks for your kind words (we try!) and we know you’ll have a great trip. If we listened to all the warnings of where we shouldn’t go, none of us would ever travel! We had a couple of unsafe-feeling moments, though always influenced by someone else saying why a place was or wasn’t safe. In hindisght, we were never in an unsafe situation and we LOVED the country! It’s great that you are giving a voice to places that others are frightened to hear about, let alone visit! Compelling story-telling, I would love to visit San Salvador, can’t wait to make my way to Central and South America. Love the artwork, and especially the inside of that first church. 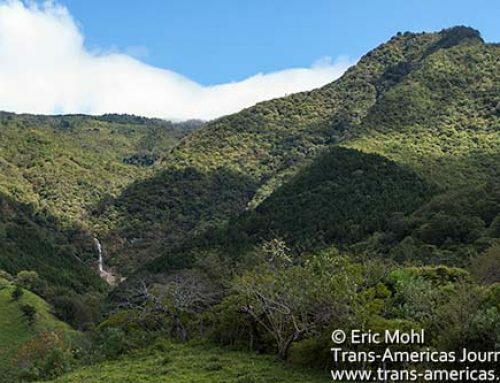 Looks like a great off-the-beaten-path destination. 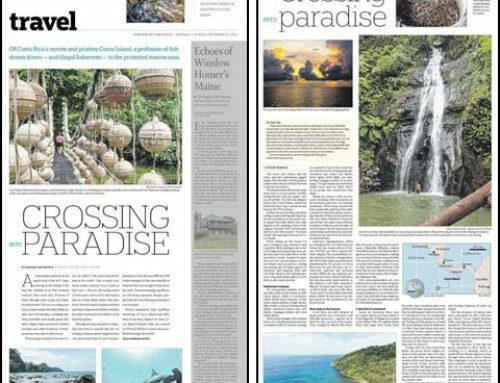 Glad to read something positive about this region… El Salvador as a country intrigues… I definitely plan to make a visit. Glad to hear you are not put off by others. We felt the same when we visit Egypt earlier in the year. People thought we were crazy but it was so safe! Just wish people used common sense and they would be fine. 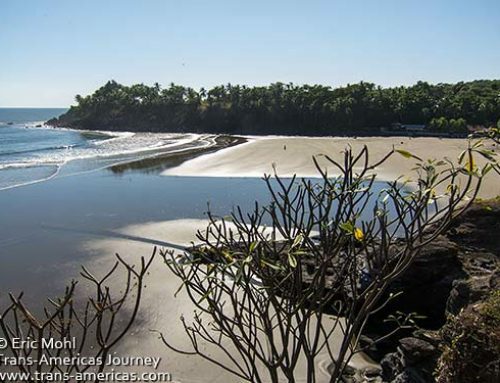 I’m from El Salvador, and I can honestly say it’s a little gem. Since earlier in the year, our crime has been reduced dramatically in half by a truce between rival gangs. The country is the safest it’s been in decades, which is very inspiring. I learned a long time ago that travel warnings for a country are not a reason to avoid that country. 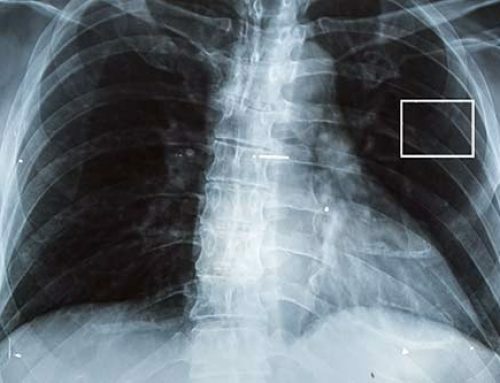 Rather, they are a reason to do more research and determine for yourself first of all, whether the warning even concerns your specific plans and second, how big the risk actually is. Apparently, San Salvador is one of those places where a little common sense will keep you perfectly safe. 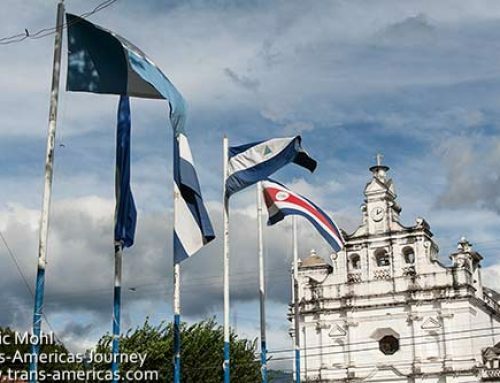 Your blog is probably the first one I’ve come across that covers A LOT about El Salvador! I’m so excited for my medical mission trip next month. My El Salvadorean best friend was supposed to come but had to stay because of grad school. She was going to be my “tour guide”. Thanks for all the stuff on your posts that I can look forward to!